Can I add attachments to my newsletter? /General /Can I add attachments to my newsletter? 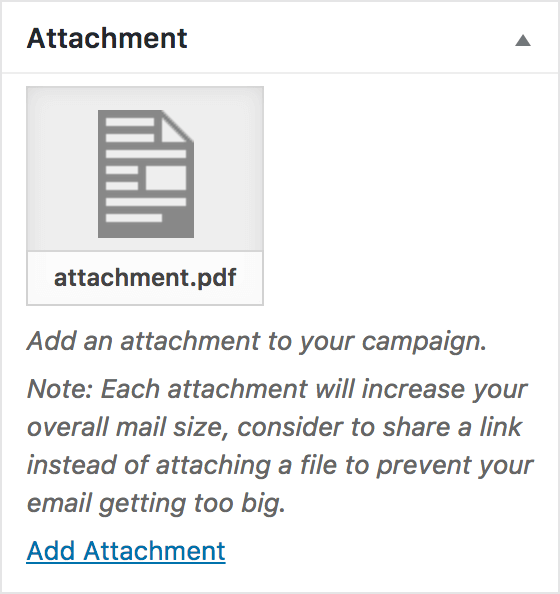 You can add attachments to your campaigns by using the attachment meta box on the campaign edit screen. You can add any attachment you can upload to your site with a maximum total size of 1MB. Keep in mind that attachments can significantly increase your email size and some hosts may reject your mailings. You should also consider to send a link where subscribers can download your files.